One of our University customers wanted to control the car park using simple but effective visual permits. The problem was that there were over 20 types of permits required which could be expensive to print! The other potential hurdle was the short timescale that these were needed. As a solution, Lesar UK Ltd provided all these different permits on self cling vinyl. This meant that the permits could be placed onto the windscreen without the need for the holder which was a big cost saving. which was needed, they could also be removed from the windscreen leaving no sticky residue. These permits were clearly visible and cost effective too! 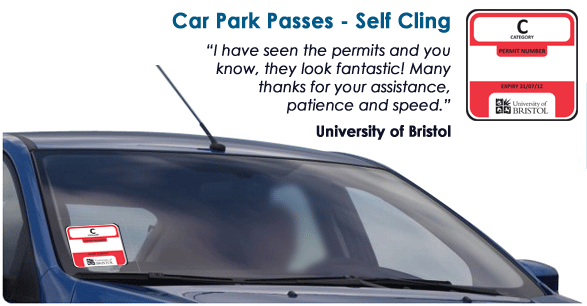 If you would like more information about Car Park Passes and how we can help call 0800 622 6201.